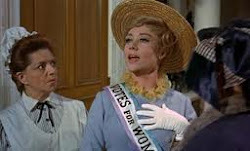 Mrs. Banks goes to Convention: Guess who's having a birthday tomorrow! Yep - the big 4 - 0 on 1 October. I wonder if WDW will go out for a nice meal with some friends, get drunk and say regretable things reminiscing about failed youthful love affairs and wondering where it's career went wrong. Cause that's what I did at 40.